Star Wars was released in 1977 and went on to earn almost $775 million at the worldwide box office. It would change filmmaking forever. Published for the 30th anniversary of the original Star Wars movie, this is a must-have book for all Star Wars fans and movie lovers. 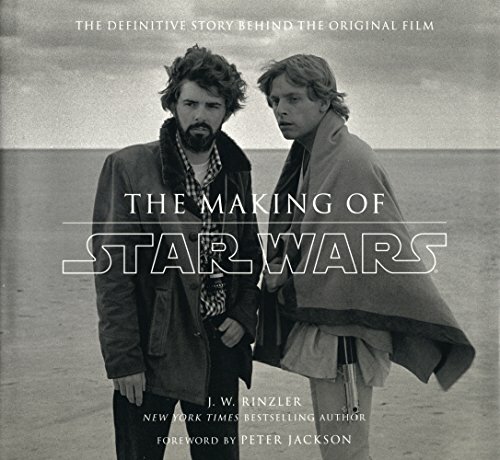 Lavishly illustrated with hundreds of images spanning the creation of the film, and including previously unpublished interviews and stories, The Making of Star Wars is a piece of cinema history; and the story behind the making of this book is almost as intriguing. When author J.W. Rinzler heard that a similar book had been started back in the 1970s - around the time of filming - curiosity got the better of him. He was directed to four boxes within the vast Lucasfilm archive. He discovered that over fifty interviews had been conducted between 1975 and 1978 with key members of the cast and crew. These boxes had sat undisturbed for three decades. Until now. The interviews were fresh, candid and - above all - more accurate than many other reported accounts. Interviewees included director George Lucas; producer Gary Kurtz; actors Harrison Ford, Mark Hamill and Carrie Fisher; and production designer John Barry (who died in 1979). Conducted long before the film was released in 1977, those interviewed are completely unaware of the future impact of the film and the direction that their careers would take. Since 1977, Star Wars has spawned two sequel films, three prequels, countless books, comic books and video games, television shows, and innumerable interviews. But the original story in its original words has remained hidden, until now. With unrestricted access to the archive, Rinzler has created a unique document that is set to become a seminal piece of film history. It reveals how a small group of gifted artists and craftspeople led by one inspired writer-director overcame obstacles - storms, crises, technical limitations, high stress and bitter disappointment - while enlisting ingenuity, heroism, but most of all dogged determination, to get to the end of their adventure. Lavishly illustrated throughout, this is the true story of human endeavour and creativity that led to the production of one of the most outstanding and innovative films of all time.